JeuxOnline is happy to help you to know better the Spellborn team with this exclusive devblog. Everything starts with a concept by either Ro! or BigChris. 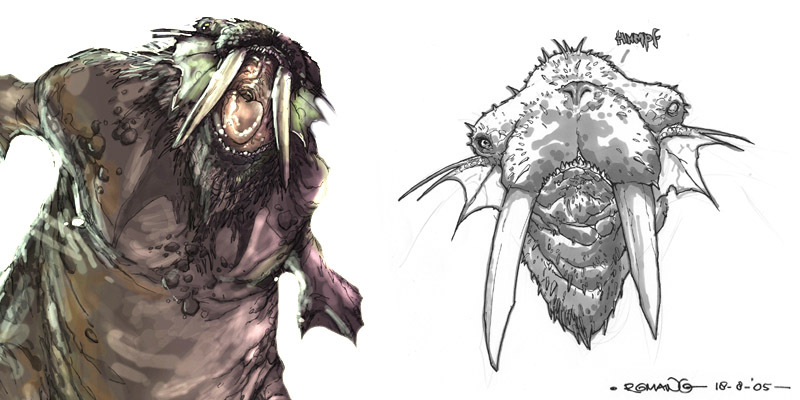 In today's case, the walrus character you might have seen in the wallpaper section of the official TCoS website. A coloured action shot, a head detailing sketch and side view are my rough materials to work from. 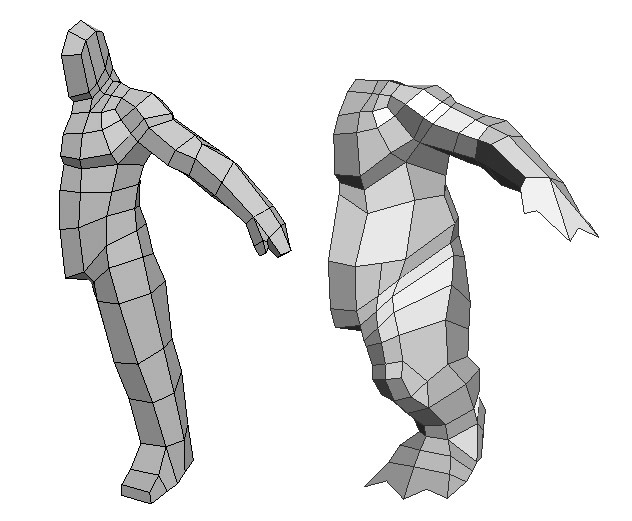 I started by shaping up a base male figure into something close to the concept. At that point I mostly focus on giving a certain feel of mass and weight rather than working out the details straight out. I like one to be able to tell the characters' character even on that early phase : threatening, fast, agile? Whatever the polygon count may be. 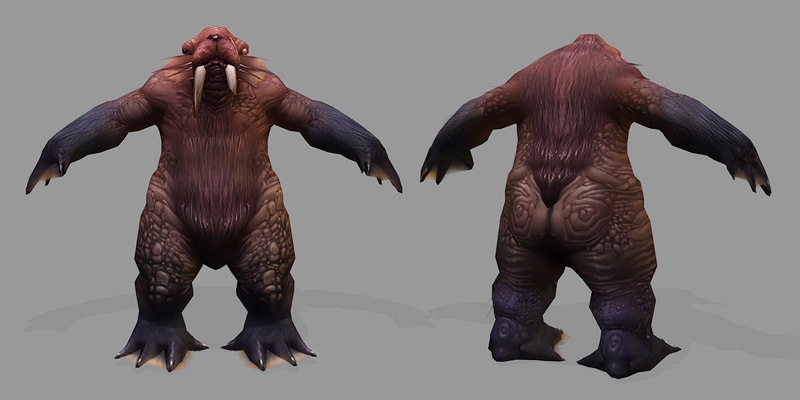 The model also needs texture coordinates so that it can be painted efficiently. You may be lucky enough to NOT know what that implies. Most CG artists consider that task as the most tedious one. Think about peeling an orange... all day long. 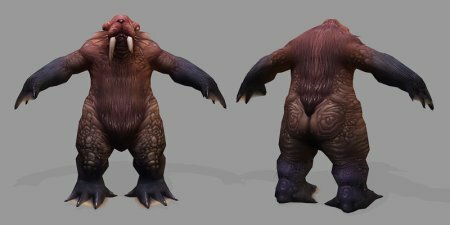 The model is now ready to be passed to both the animation and texturing departments even tho I actually did the texturing myself on that walrus thing. And by that time there is already a concept ready to be threedeed waiting somewhere on my desk.